Here is a list of the 10 most famous arias in the world. Bask in the glorious sounds of some of the world’s greatest singers singing tunes from the world’s most famous operas. Performers include Luciano Pavarotti, Maria Callas, Renée Fleming, Dmitri Hvorostovsky, and Anna Netrebko. “La donna è mobile” from Verdi’s Rigoletto. This Act III aria, translated as “Woman is fickle” and sung by the libertine Duke of Mantua, is an audience favorite. Listen for that quintessential boom-chuck-chuck Verdi rhythm in this famous aria. “Der Hölle Rache” from Mozart’s Die Zauberflöte. If you don’t know this one, chances are you live under a rock and haven’t ever seen another human being in your life. This most famous of all famous coloratura soprano arias is a wonder to behold. In this aria, the Queen of the Night tells her daughter, Pamina, that she has to kill the evil Sarastro. Otherwise, the Queen of the Night will disown her! “O mio babbino caro” from Puccini’s Gianni Schicchi. This famous aria is a recital favorite. The aria itself is even more famous than the opera it comes from! “Casta Diva” from Bellini’s Norma. If ever there were an aria whose melodic line seems to make all of life pause for a moment, it would be this one. The bel canto wizard Bellini created sounds that were made to fit perfectly in the human ear. “Nessun Dorma” from Puccini’s Turandot. Another famous aria from Puccini. This one is sung by Calaf in the final act of Puccini’s unfinished opera, Turandot. In this aria, Calaf says that he is confident that he will be able to win the princess by answering the three riddles correctly. “Largo al Factotum” from Rossini’s Il barbiere di Siviglia. This famous aria is performed at the entrance of the title character, Figaro himself. The quick, fast-paced 6/8 time signature perfectly fits the character, and gives the audience a clue as to his socioeconomic status. “Habanera” (common name of “L’amour est un oiseau rebelle”) from Bizet’s Carmen. This is another famous aria that everyone knows. Just watch. “Quando me’n vo'” (also known as “Musetta’s Waltz” from Puccini’s La bohème. Yet another Puccini aria makes the list. In this Act II aria, Musetta tries to regain the affection of her former lover, Marcello. “Non più andrai” from Mozart’s Le nozze di Figaro. This is Mozart’s second appearance on this list of famous arias. 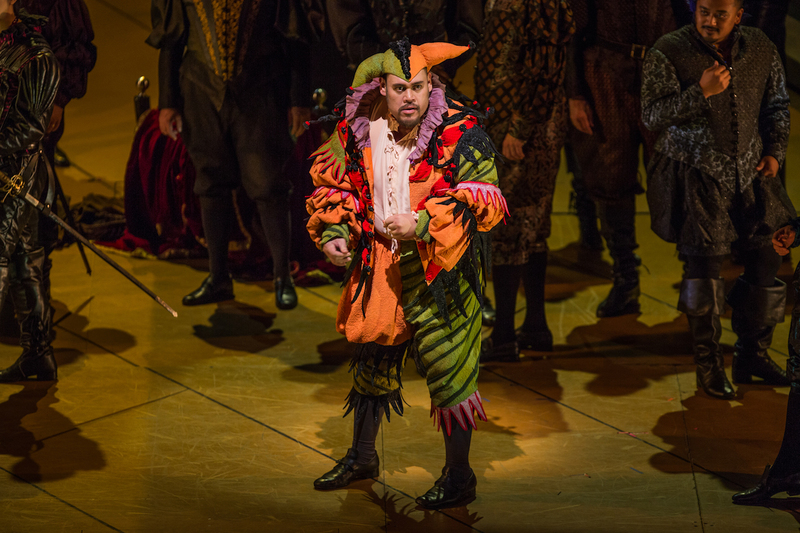 We see a different sort of Figaro in this aria when compared to that of “Largo al Factotum.” This piece ends Act I on a comedic note, as Figaro pokes fun at Cherubino, who has just been assigned military duty by Count Almaviva. “Toreador Song” (common name of “Votre toast, je peux vous le rendre”) from Bizet’s Carmen. Again, you know this one. Just take it all in.